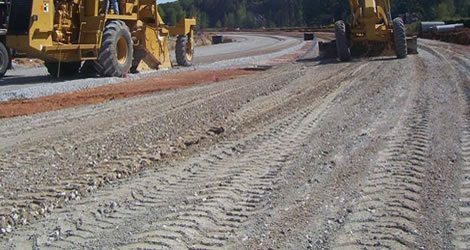 The Malawi government and the Kuwait Fund for Arab Development have signed a financing agreement in form of concessional loan for the construction of the much-awaited Lirangwe-Chingale-Machinga Road. Due to the poor condition of the current road, most of the produce including rice, sugarcane, cassava and maize is not transported to the markets at the right time leading to loss of value and money. The project comprises civil engineering works of a bituminous road with a total length of about 62.3 kilometres; 6 metres carriage way and “asphalted shoulders of about 1 metre on each side. The Project also involves construction of drainage facilities, bridges, erosion controls and traffic safety facilities. The Project also includes Consulting Services for revision and detailed designs and supervision of construction and it is expected to be completed by the end of 2014. The total cost of the project is estimated at about MK18.026 billion (US$3.2 billion) with the funds provided by the Kuwait Fund for Arab Development covering about 20.9 percent of the cost. The Saudi Fund for Development and the Arab Bank for Economic Development (BADEA) will provide funds amounting to 20.5 percent of the total cost each. The OPEC Fund for International Development and the Abu Dhabi Fund for Development will each provide 14.4 percent of the total cost while the government of Malawi will meet the remaining percentage. The agreement was signed, on behalf of the two parties, by Malawi’s Deputy Minister of Finance, Dr. Cornelius Mwalwanda and the Kuwait Fund for Arab Development, Director General, Abdulwahab Al-Bader. Malawi President, Dr Joyce Banda said she was delighted to witness the signing of the agreement which she said would go a long way in transforming lives of Malawians as the road will facilitate smooth movement of goods and people. Deputy Minister of Finance, Dr. Cornelius Mwalwanda said the implementation of the project shall contribute to the promotion of cross-border trade, tourism as well as the creation of employment due to increased economic activity along the road. This is the seventh loan facility provided by the Kuwait Fund to the government of Malawi.